There is a serious concern on an international level about the ways in which several plastic products can be replaced or eliminated. Seychelles makes no exception in this direction and the government is about to promote a new amendment in this sense. The Ministry of Environment in Seychelles is interested in varied plans and developments for the protection of the environment and sustains the investments in this area in a large proportion. Foreigners wanting to generate profits in the insular state can talk to our team of company formation agents in Seychelles and ask for assistance for setting up an offshore company in Seychelles. In recent years, it has been created a solid awareness about the consequences of plastic waste found in the oceans, lakes, and forests, and international organizations plus many governments around the world have decided to collaborate in this direction and adopt a series of measures for protection as much as possible the environment. Seychelles is interested and also extremely motivated to eliminate the single-use plastic products from the market and replace them with other alternatives. This might be a concern for companies activating in this sector, but on the other hand, a great opportunity to align with the new requirements and with the “greener” direction of the environment. The authorities in Seychelles, including the Cabinet Secretary for Policy Affairs, have launched a series of measures to eliminate the single-use plastic products as fast as possible and replacing them with glass-related products. According to the authorities, this might represent the first step in a project that it is meant to introduce as many environmental measures as possible, in Seychelles. In this direction, investors can decide on companies that can produce materials that can replace the plastic products. 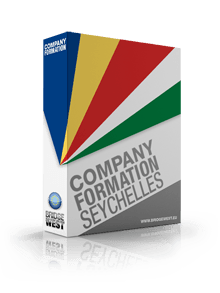 Our help in company formation in Seychelles is at their disposal at any time. We invite you to discover the investment opportunities in Seychelles and to get in touch with our team of company formation agents in Seychelles that can offer assistance and information at the time of company registration.